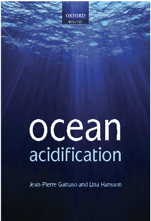 • Ocean acidification (OA) poses a threat to marine systems and the goods and services they provide. • A framework is needed to guide the international response to minimize and address OA. • International policy should have three objectives: mitigation, adaptation and the redress of harm. • These three objectives can be pursued by a number of multilateral agreements. • Such an approach may fill the governance gap created by the lack of OA treaty. 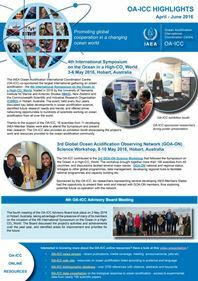 Ocean acidification (OA) is a major emergent stressor of marine ecosystems with global implications for biodiversity conservation, sustainable development and economic prosperity. International action is imperative for addressing it. This paper builds a science-based governing framework, identifying three overarching policy objectives and six areas for action that should be pursued so as to minimise this global problem. No unifying OA treaty or legal instrument with the explicit task of addressing OA currently exists and it looks highly unlikely that any will eventuate. A more pragmatic approach is to use existing multilateral agreements. However, taking on OA as a unified problem seems to be beyond the scope of existing agreements, due to structural limitations and the willingness of Parties. Given this, it is more likely that OA will be addressed by a network of agreements, each responding to discrete elements of the problem of OA within their capabilities. However, it is unclear how existing MEA capabilities extend to addressing OA. This paper therefore offers an analytical framework through existing governance structures can be explored for their capabilities to respond to OA. Harrould-Kolieb E. R. & Hoegh-Guldberg O., 2019. A governing framework for international ocean acidification policy. Marine Policy 102: 10-20. Article (subscription required).